The No. 8 Riley Ford has the lead after four hours. After four hours of racing in the Rolex 24 sports car race at Daytona International Speedway, the No. 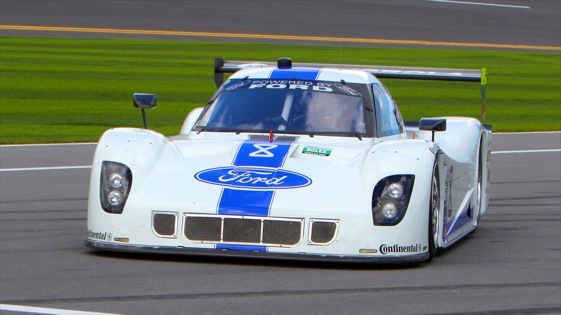 8 Ford Riley of Starworks Motorsports, with Alan McNish at the wheel, had the lead in the Daytona Prototype category. In second place in DP was the No. 60 Ford Riley of Michael Shank Racing which was being driven by Justin Wilson. Wilson was several seconds behind. Third was the No. 2 Starworks Ford Riley, being driven by Michael Valiante. The big story of the first part of the race in DP was the engine failure, and subsequent withdrawal, of the SunTurst Wayne Taylor Racing Corvette. The car, which qualified second fastest and with Max Angelelli at the wheel, pulled into the garages inside the first 20 laps. The crew went to work but a couple hours later, packed it in. “It’s really disappointing, but at the same time this is what happens in this ,the driver, even though there was a statement that Max might’ve over-revved the engine – that’s absolutely not the case. There’s a problem in the valve train; quite honestly, we’re not exactly sure what it is, but there’s a problem enough for us to pull the car out. In the GT class, Andy Lally of Magnus Racing had a 10-second lead over Dominik Farnbacher of TRG. Both are in Porsche GT3 cars.